If you have children in elementary or high school, they probably take a field trip every year or at least every other year. Field trips can get pretty predictable: A trip to an area farm for kindergarteners, a trip to the zoo for grammar school students, perhaps a trip to Washington D.C. for graduating middle school students. But one thing that isn’t always predictable is the quality of your school’s field trip transportation. Some charter bus companies aren’t as reliable as others. And if there is one thing you don’t want to mess with, it’s the safety of your children. If parents want to ensure their children are safe when they are traveling with their classmates, they need to get more involved in the field trip planning process. One way is to bring something useful to the table. And that’s where FloridaTours.com comes into play. FloridaTours.com has one of the best field trip safety records of any charter bus company in South Florida. Just ask any of the many satisfied school clients we have served and they will tell you that we are not only safety conscious but also experienced and knowledgeable about the places where we take their students. Plus, everybody in our company is focused on providing the most courteous and helpful service available anywhere, from our intake and scheduling agents to the bus drivers themselves. The result is the kind of secure, reliable, and convenient school bus charter company you can rely on to get your children where they are going safely. 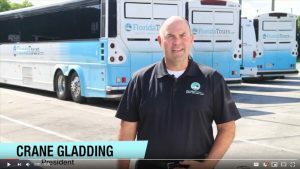 If your child’s class is planning a field trip, be the hero of the day by recommending FloridaTours.com to get them where they are going safely. Your child will thank you for it later.